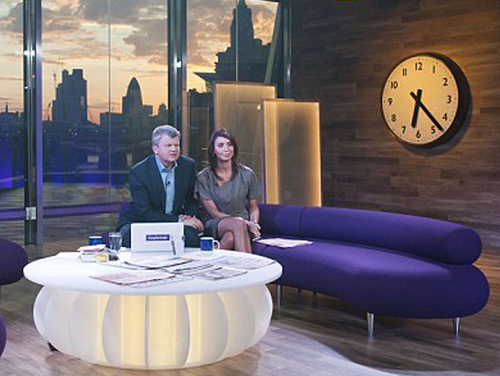 With just weeks to go before the launch of the new and much heralded breakfast TV show ‘Daybreak’ Good Directions Ltd was approached to manufacture 4ft clocks to feature in the brand new studios in London. Based on an old style train station clock the simple dial was designed to be clear and easy to read with an antique white face in a metallic burnished bronze colour bezel. 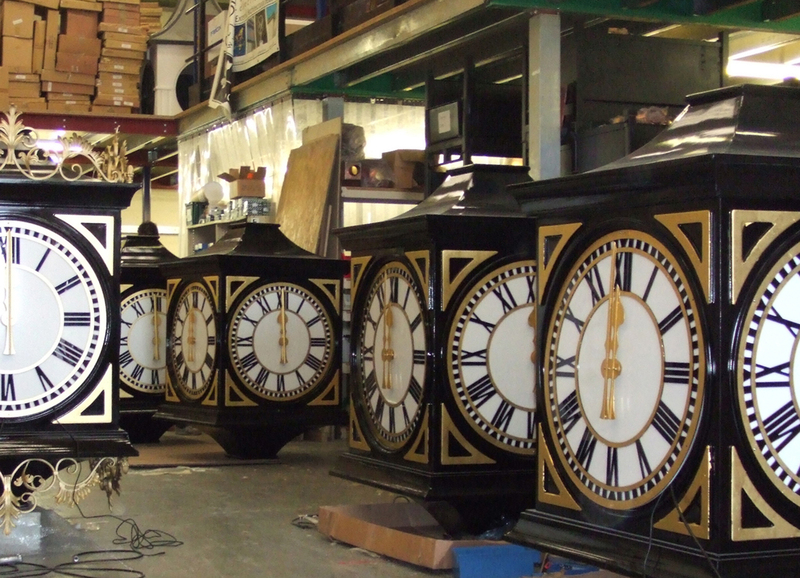 The clocks were to be kept secret until the opening of the show and Good Directions Ltd was delighted to receive such a prestigious order, working all hours to get the clocks ready on time. Although simple in design, state of the art technology was used to be sure the clocks would run on time. Good Directions Ltd beats worldwide competition to manufacture 122 external clocks for a Former Soviet State.